JUST REDUCED!! This beautiful Street Rod was built by Charles "Chuck" Bowen, of west Terre Haute, Indiana. I took 15 Years to complete this great restoration. It won the fat fendered award at Good Guy's Restoration in 2008, and was featured in Street Rod Magazine in 2007. It features a 1978 454 Chevy engine bored .030", a turbo 400 circle track transmission, Chevy 10-bolt posi-traction rear end, air ride suspension, vintage a/c, Fat Man fabricators front stub, aluminum radiator, Corvette water pump, and much more. Built with the Best of everything in 2008. Call us today. 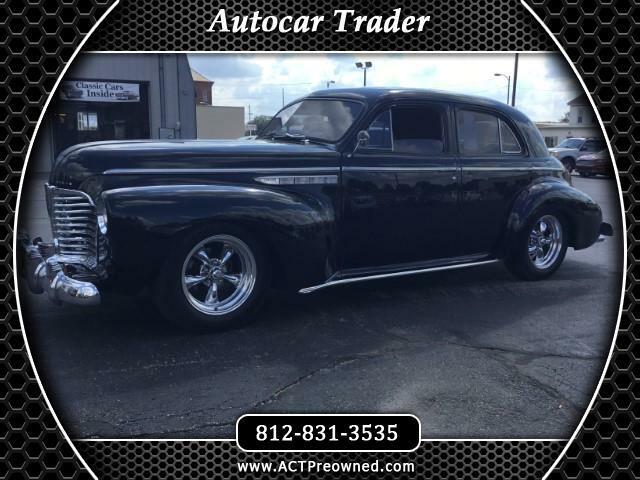 Message: Thought you might be interested in this 1941 Buick Super 8.